I love a great pickle. One that’s crunchy and makes my cheeks cave in a little, know what I mean. I also love bread and butter pickles, but this recipe is for garlic dill pickles, that I paired with my smokey pulled pork sandwiches. That post is coming up later anyway, this is so easy and so fast, no canning, no sterilizing, none of that, just a quick side when you need it. 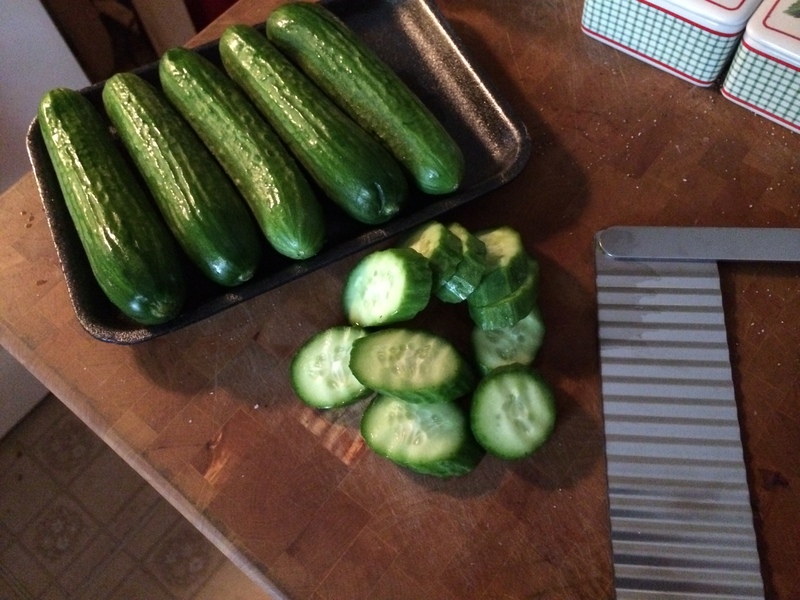 I start out with those cute little Kirby cucumbers and a little tool that have that puts the ridges in the slices. In a med bowl with the sliced cucumbers, I chop up around 4 tablespoons of fresh dill and some thinly sliced red onion and drop it in. I have to say that I just happen to have a couple of radishes that I sliced super thin and added those as well, but that was just an extra something I had on hand.Then in a small sauce pan I take 3/4 cup of white vinegar, with the heat on med low, I also add 3 sliced garlic cloves. I also add 1/3 cup of sugar, a pinch of salt, and some pickling spice. You can usually find it in the grocery store, or you can make your own, but why would you, take the help whenever you can, just sayin’. 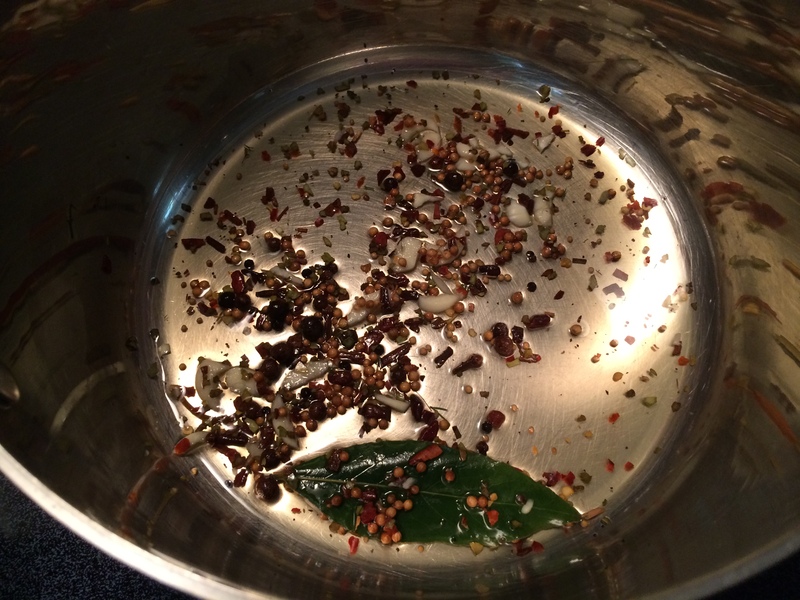 Anyway drop 1 bay leaf in the pot and a pinch (or more, optional) of red pepper flakes. Bring this liquid up to a low simmer until all the sugar is dissolved and all the flavors marry together. 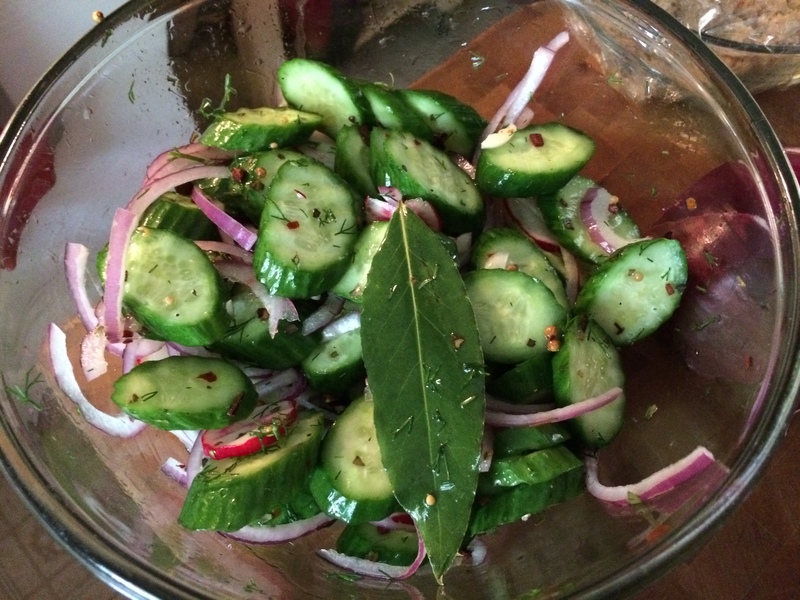 I guess around 15 minutes for so, then, I remove the bay leaf before serving, but leave everything else in when I pour it over the cucumber slices for a more intense pickle flavor. You could of course strain everything out, if you choose, so you end up with the wonderful flavored liquid and pour it directly over the slices of cucumber, onion, and dill. At this point I just let the pickles sit in their delicious liquid at room temperature until I’m ready for them. You could also refrigerate them if you want to serve them chilled which is great too. Where did you find that neat ridged tool? Thank you, I think I picked it up at a specialty store that sells baking supplies here in Orlando. I believe you can order this on line under cooking gadgets. Pls feel free to follow my blog checking out yours as well.